I don’t believe in just writing your goal on a piece of paper and then hope for the best. I don’t think it work that way. For me, I would set a very clear goal every start of the year or everytime I have a project to do and try to visualize what I really want to achieve. It’s not only writing ‘I want to be rich this year’ because that is so vague. My rich might not be your rich. You can’t just say ‘Lose weight’ because again that’s not very clear. You might lose 100 grams but will you be happy with that? So let me share with you how I write my goals and use the power of manifesting and my own practical steps to make it happen. This is one of my fave things to do. Goal setting for me is so challenging and motivating that I truly enjoy the process. First: Get a nice notebook. If you can have a nice pen to go along with your notebook then better. I love notebooks, as in proper stationary notebook. I love writing and jotting down my thoughts on a notebook and it makes me think that my goals are really going to be a reality. It’s better to write it down than having these goals floating around your head. I have several notebooks with me. I have a notebook for my nail salon business where I write all my ideas about marketing, finance, and anything and everything I can think of about SLIAN (my nail salon). Then I have another notebook for travel, another notebook for expenses. And then I have a notebook for my goal setting. I call this my FAITH notebook. 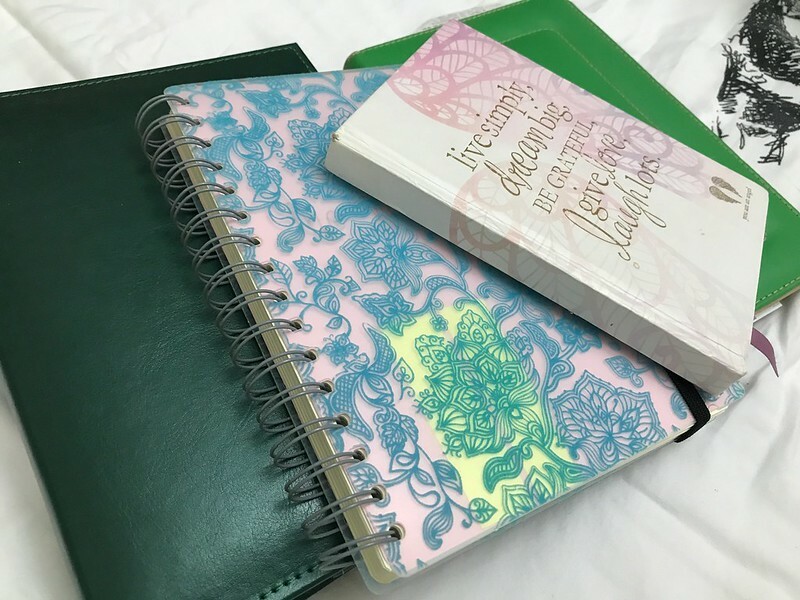 It serves like my journal where I write my thoughts about God, giving thanks to Him, keep on reminding myself to have faith. And most importantly, I write down my goals on this notebook. So first step is to find a nice notebook that is sturdy and has enough pages so you can write on it for a longer period of time. When writing your goals, find a quiet place to do it. You don’t want to be disrupted by kids calling you or your cooking, or by tv or radio. Ideally, you should be in a well-lit room, quiet, tidy or clutter free and make sure you’re comfortable. Now start writing all your dreams and goals in life. This is not the time to be embarrassed or feel shy or guilty on writing what you truly want. Just let go of shame and guilt when writing down your goals in life. To help you with your guilt and other negative thoughts you have about money, please enter your email address on the box and get your free mini-course on how you can achieve your fullest money potential. No spamming promise. So going back, list down everything you would like to achieve in life. EVERYTHING. Again, no shame, no guilt. No one is there to judge you. You’re just writing it on a piece of paper. It’s not like what you list there would be used against you by God or by society. No one can see if you don’t want it to be seen. And one important step on this process, while writing your goal one by one. Let the positivity flow around your body. Let your body feel the positive energy as you write each and every line. For sure, when writing these goals, you will feel very happy. Just thinking of achieving your dreams bring this positive high. For example, you can write “I will pay off my loan of 30,000 before the end of this year”. And as you write that goal down, just let the happiness of finally finishing the loan consumes your body. Imagine the feeling of being debt-free. You will definitely smile and feel grateful. And as you write each goal, just continue these positive thoughts. Most important thing, believe that it’s possible for you. Because no matter how great your goal is, if you don’t believe it will happen, then it will never happen. Sure you can write down ‘pay off 30,000 pesos debt by end of the year’ but at the back of your mind you have these thoughts that it will be very difficult to achieve it for various reasons like your salary is not enough, or your expenses this year is increasing or whatever. Definitely, if you can’t believe it’s possible for you then it will never happen. As I said, being a Virgo, I am practical and I want action. Yes, you are now elated and truly believe that each and every goal will definitely happen. You believe that God will give it to you. That Universe will follow all your commands, but you know what, You have to take action. Let you and the Universe meet half way. It’s not like you will just lie down and wait for the apple to fall from the tree. To eat that apple, you have to raise your arm, reach out for the apple, take it and put it in your mouth. Going back to our example – So you have this goal of paying your 30k debt before the year ends. You believe that it’s possible for you to pay it off. It doesn’t matter if your income right now is just enough to pay for your daily expenses and there’s nothing extra left. You trust and have faith that God will make it happen for you. That’s a very good mindset. This is your action part – while keeping in mind your goal, find ways to lessen your daily and monthly expenses. Replace your meals with cheaper but healthier options like fish and vegetables. Avoid eating out. And while doing it, don’t tell yourself ‘Oh I’m poor, I don’t have money that’s why we’re just eating vegetables nowadays’. Replace that poor thought with positive one like ‘I’m glad I can afford to buy these vegetables. What a good way to take care of myself’. Another action plan from your side is find ways to earn extra money like selling your old stuff. That pants or shoes that has been lying on your closet for years might be a gem for someone else. So post it on Facebook and tell your friends you’re selling your old stuff. You know, these actions is like telling the Universe that “Hey, I am doing my part. I really like to settle my debt before the year ends so Universe you better do your part”. Before you know it, little by little, money will start to show up in obvious and subtle way. In case you decide to sell all your old clothes, you’ll be surprised that it was sold out in just a few days after putting it online. Some part time job will come your way for that extra income. Or you someone will treat you out saving you some money for lunch or dinner. Before you know it, you already paid off your debt. Because of your faith AND your action, your goal became a reality. * Write it down in quiet, peaceful place. * When writing it, don’t feel any shame or guilt. Don’t be embarrassed that your goal is so materialistic or senseless. This is your life. This is what you want. Just write it down. * Next step, feel the joy of accomplishing these goals. Let the positive energy flow inside your body. Just smile and feel positive as you write and read your goals. * Then one of the most important step, believe it is possible for you. If you can’t believe that your goal is possible then it won’t happen. Period. * Now after doing all these internal work, think of ways you can meet the Universe half way. What action steps you can do to achieve your goal then do it. Make an effort. Follow up your goal with actions. * And lastly, be prepared to receive. Accept everything, big or small as a blessing and be thankful. GRATITUDE. That’s your most powerful tool. Be thankful. I have prepared a mini-course on how you can help yourself understand why you can’t sometimes achieve your goals. You might have done most of steps I mentioned earlier yet nothing. Nada. Still nothing happens. Unfortunately, it could be because of your money blocks. This entry was posted in Positivity and tagged filipina expat, Pinoy Blogger, Pinoy in Dubai, The Wealthy Pinay.